For miners by miners. Provides up to date news on bitcoin, ethereum, zcash and other cryptocurrencies, and guides on crypto and gpu mining. The latest version of Claymore’s ZCash (ZEC) miner is out (v7.0) ! Hashrates have again improved. We are talking about up to 15 to 40% increase in hashrate on top of the V6.0 update. This is a windows only miner and is very easy to use. See this thread. If you have a weak/normal CPU we advise to lower the intensity setting (-i 0 to 4), although in the latest versions CPU usage has gone down by a lot. It is now possible to use -i 4 which seems to give the best hashrate. Power consumption is also up for some, but that is expected when we squeeze even more hashrate out of the GPU’s. To monitor your rig with EthMan use the -mport -3333 option (monitoring only) to be safe. You can now reach most incredible speeds of (up to) 180 sol/s on a 280x (up 35%), and 155-175 sol/s on a 470/480 (up 15-20%), 115 sol/s on a 380 (up 20%), and 230 sol/s on a 390 (up 25%). This should help with the drop in profitability, and further reduce Botnet’s (cpu mining) influence. Such wow. The all new MSI armor 470 4g just arrived in the mail today. So let’s review it ! Compared to the MSI GAMING X, the Armor has a smaller box, and is a smaller GPU too – All thanks to the less impressive heat sink. After running DDU and the latest AMD drivers, we are all ready to go. Stock: The MSI Armor hashes away at 205 sol/s on Claymore’s v8.0 ZCash miner. Not bad, but what is impressive is that undervolted to -96mv on MSI afterburner, with stock 1230 Core Clock and 1750 memory clock (a bit overclocked – default is 1650/6600Mhz and Memory type is Hynix) we find ourselves with a voltage of 0.95v, and a GPU-Z power consumption of 72w. At the wall we are talking about a 105w total ! This card has an 82% ASIC quality, so there is possibility of bringing the voltage down even more, perhaps saving another 10w. If you fine tune yours, let us know ! BIOS Mod: A simple BIOS Mod through ATIWinFlash and PolarisBIOSeditor for the memory timings (1500 timings copy pasted to all higher values) nets us a 215 sol/s, with a slight core overclock (1250) for 105w total. This card is cheaper, well built, smaller, backed by a 3 year warranty and is a solid GPU all around. Although it may be cheaper than the MSI GAMING X, there is a big price difference. It may be worthwhile to pick that one up on sale, but we are very impressed with the results so far. It also has an 8 pin power connector. A total performance of 215 sol/s with 105w at the wall usage (Gold PSU on 120v) means .49 watts used per sol/s performed (Or 2.05 sol/s per watt). Let us say this again, very good results. Good Show MSI. NOTE: MSI confirmed these are Ball Bearing fans. Claymore ZCash AMD GPU Miner v6.0 just released ! The latest version of Claymore’s ZCash miner is out (v6.0). So far, it is a stable release and hashrates have improved again compared to the v5.0 version. We are talking about up to 25% increase in hashrate with some minor bug fixes. This is a windows only miner and is very easy to use. See this thread. If you have a weak/normal CPU we advise to lower the intensity setting (-i 0 to 4), although in v6.0 CPU usage has gone down by a lot. It is now possible to use -i 4 which seems to give the best hashrate. Power consumption is also up, but that is expected when we squeeze even more hashrate out of the GPU’s. To monitor your rig with EthMan use the -mport -3333 option (monitoring only) to be safe. You can now reach incredible speeds of (up to) 130 sol/s on a 280x, and 155 sol/s on a 470/480, 95 sol/s on a 380, and 185 sol/s on a 390. 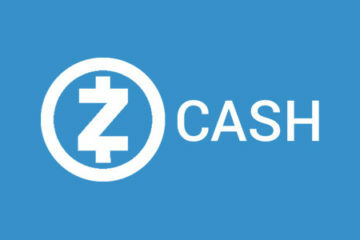 The latest version of Claymore’s ZCash miner is out (v5.0). So far, it is a stable release and hashrates have greatly improved compared to the v4.0 version. We are talking about up to 60% increase in hashrate. This is a windows only miner and is very easy to use. See this thread. If you have a weak/normal CPU we advise to use -i 0 for the intensity setting, although in v5.0 CPU usage has gone down by a lot. Power consumption is also up, but that is expected when we squeeze more hashrate out of the GPU’s. To monitor your rig with EthMan use the -mport -3333 option (monitoring only) to be safe. You can now reach incredible speeds of (up to) 120 sol/s on a 280x, and 125 sol/s on a 470/480, 70 sol/s on a 380, and 150 sol/s on a 390. 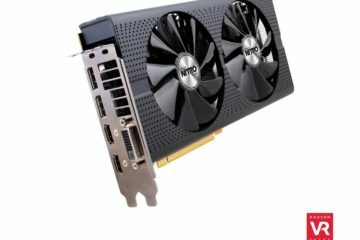 The Sapphire RX 470 / 480 is a solid mining GPU all around. It features excellent power efficiency, decent overclock and reliability. One feature is very interesting is the dual bios switch, which permits the user to experiment with bios mods without voiding the warranty. And of course, if you brick your card you can simply switch it over to the normal bios and flash again. The fans are easily removable (one screw), so maintenance on the cards is also quite easy. The chassis is very well made and air flow is decent. To keep your VRM’s cool you should make sure you run a custom fan profile of 50% minimum. The newer 4gb version of the Nitro+ cards come with Elpida memory. You cannot edit Elpida memory with the Polaris bios editor, but there are bios mods available. The downsides to owning a Sapphire card is the RMA process, where you have to pay shipping. In addition the warranty is only 2 years, compared to 3 years for other manufacturers such as MSI. These can have a hashrate of 27-31 mh/s depending on the model for ethereum and 175-200 sol/s for ZCash. And now for the final stats, we have a power consumption of 120w for 200 sol/s (480 4g model), so 0.6w/sols or 1.67 Sol/s per watt used. MRB has released the latest version of SilentArmy ZCash miner (v5), and so far it is the fastest open source miner out there – even faster than Claymore’s ZEC miner (taking into account the fee). There is another upside – it uses much less cpu power too. This is mostly a linux build, but it is available for windows. You will have to compile it yourself, but some users have posted compiled binaries available for anyone to download. Be careful again what you download onto your machine. 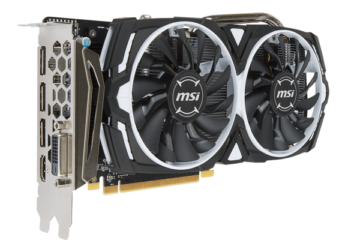 You can expect 75-80 sol/s for a Rx470/480, 90-100 sol/s for a R9 390, 40-50 sol/s for a R9 380, 75 sol/s for a 280x. For Nvidia, some users are reporting almost 100 sol/s on a 1070 but results may vary and there is still room for optimization. See these threads for more info ! 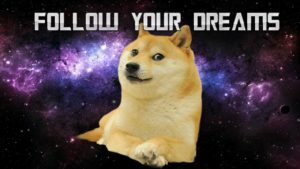 Bitcointalk and ZCash forums. The mission of this site is simple. To help miners and share information. When more people mine, it does cut into your profits because difficulty goes up. But at the same time, mining is what gets new people interested in the world of crypto. So we believe, here at CryptoMiningTalk, that getting new people interested in crypto is more important than the current profitability of mining for the long term. If you ask yourself this question: is it profitable to mine ? Then the only way to figure that out is to start mining on a very small scale and see for yourself. There are a multitude of coins that can be mined, even with cpu’s. There are many strategies to create profit. Its up to you to figure out what those are ! So enjoy the site and please leave us comments and feedback. This is a volunteer project and all donations are very much appreciated. These help with paying the bills for the site/upgrading servers/new content/reviews. Thank you in advance for your support ! A good way to support us at no cost to you is to use our referral link when you shop at Amazon ! This also works for our Canadian friends here. And as a bonus (another referral) you should use Great Canadian Rebates when you order to get another discount on your hardware. 6 GPU RX570 with Z170A rig build here ! 6 GPU 1070 with Z170-E rig build here !